On Tuesday, November 8, Ridgefield School District’s board members voted in favor of putting a $78 million bond issue up for vote on February 14, 2017. 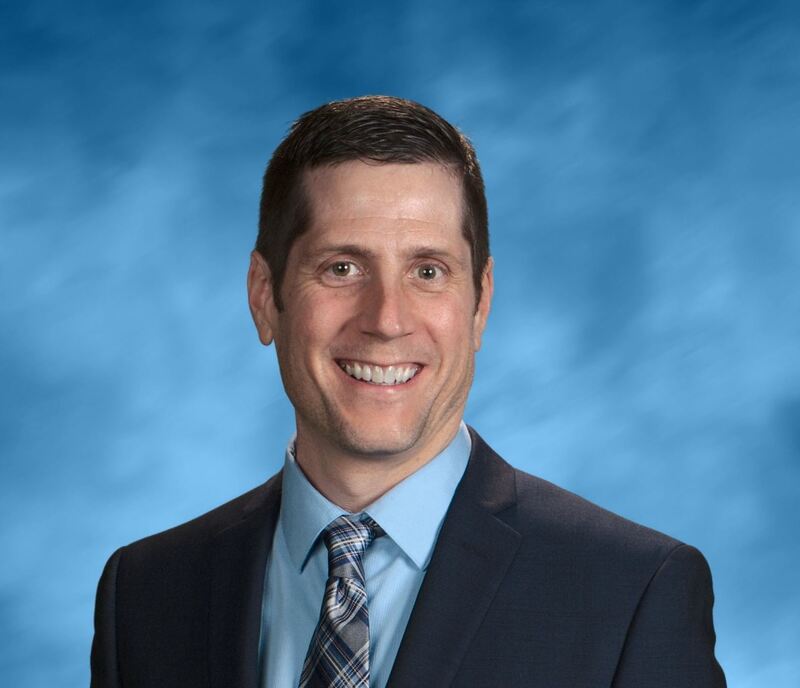 If approved by the voters, the bond proceeds will alleviate overcrowded classrooms by funding the construction of two new schools, expand Ridgefield High School, enhance security at two elementary schools, and repurpose the middle school. Additionally, through a partnership with the City of Ridgefield, an outdoor recreation complex will be constructed that will also serve as the schools’ athletic and physical education fields and capture an estimated $5 million of savings for the school district. Due to Ridgefield’s booming population growth, all four of the district’s existing schools are currently over capacity by at least 130 students. District enrollment has increased by approximately 13 percent this year. The bond will ease overcrowding by adding 1,300 new classroom seats and provide modern, flexible, energy-efficient classrooms that are more conducive to learning. The upcoming bond request is Phase II of the district’s four-phase plan. The first phase was the bond approved by voters in 2012. That project was completed in the fall of 2014 on-schedule and on-budget. An outdoor sports complex (constructed by the City of Ridgefield and saving the school district $5million). Of the $98.5 million, $77.965 million will come from the bond proceeds and $15.5 million from state matching funds. The remaining $5.035 million will come from the City of Ridgefield, which will construct the new six-field outdoor public sports complex on the new school campus. Thanks to its partnership with the city, the district will expend zero dollars for the sports complex and will instead realize a substantial savings of $5.035 million. The district’s Capital Facilities Advisory Committee (CFAC) is spearheading the bond program. Made up of a volunteer group of parents, citizens, and staff from the Ridgefield community, the committee engaged with the community to provide the district with valuable feedback on how to best address Ridgefield’s rapid growth. Last year, the committee submitted a plan showing what the district would look like in 20 years. Its projections showed that in 2035, school enrollment would increase by more than 160%, and the district would have more than double the number of its existing schools--specifically, four elementary schools, two middle schools, one high school, one small alternative high school, and one small specialty high school (potentially on a partner site). 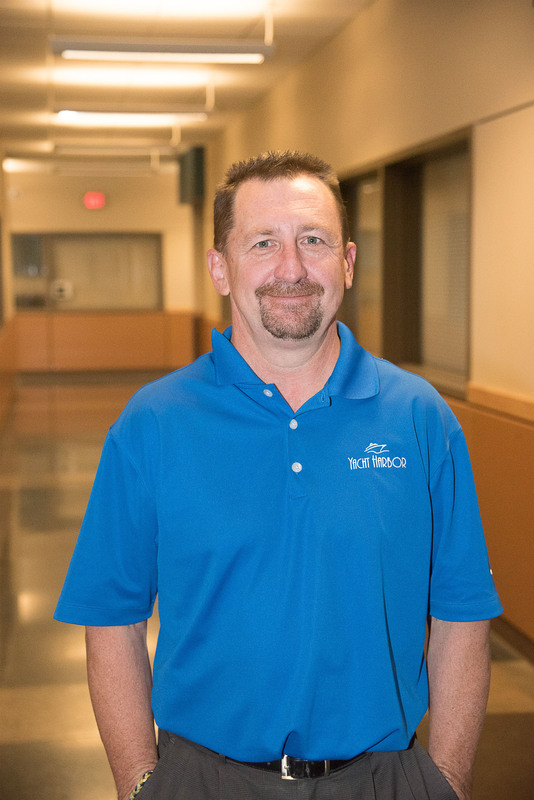 The collaboration between CFAC and the district provided the information needed to shape the design plans for Phase II, which will be funded by the upcoming bond. 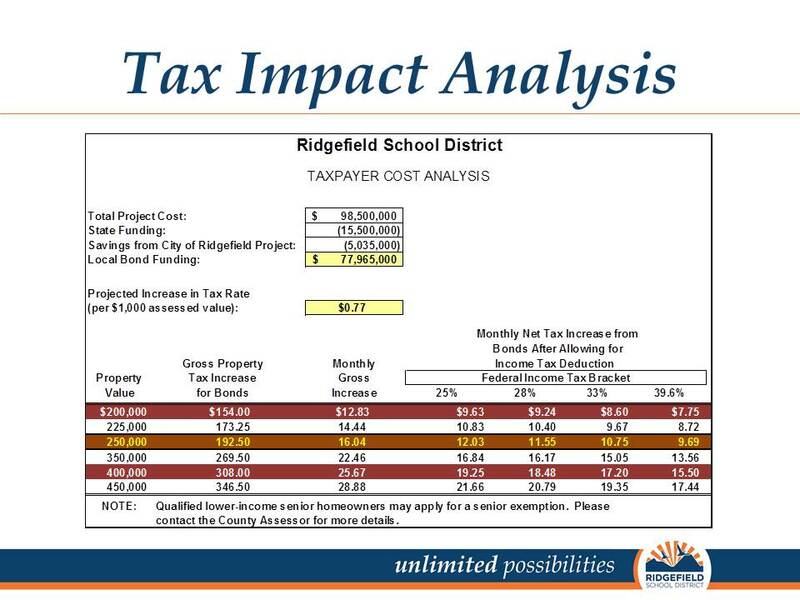 Currently, the bond tax rate for Ridgefield is $1.41 per $1,000 of assessed property value. If approved, the proposed bond measure is projected to increase the bond tax rate by $0.77. For the owner of a $250,000 home, that would mean an increase in the bond tax rate of $16.04 per month.